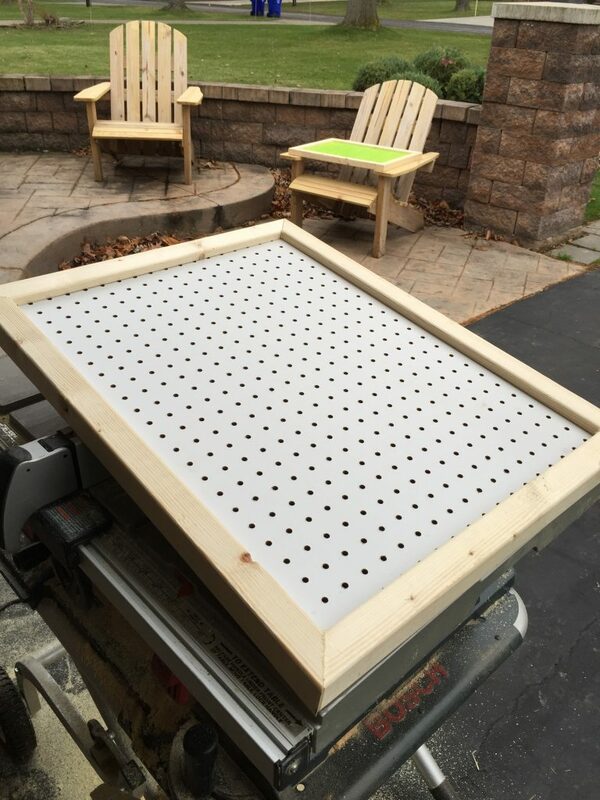 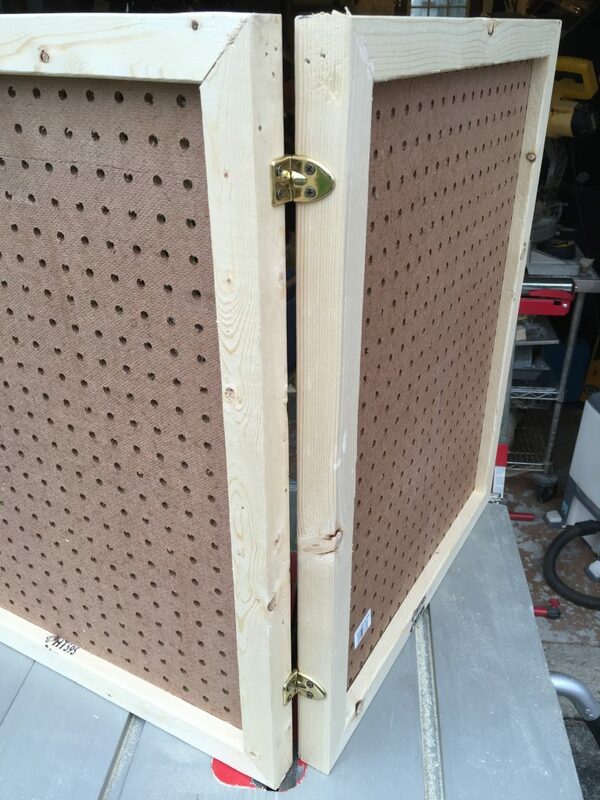 This was a simple pegboard jewelry display I built to be carried from show to show. 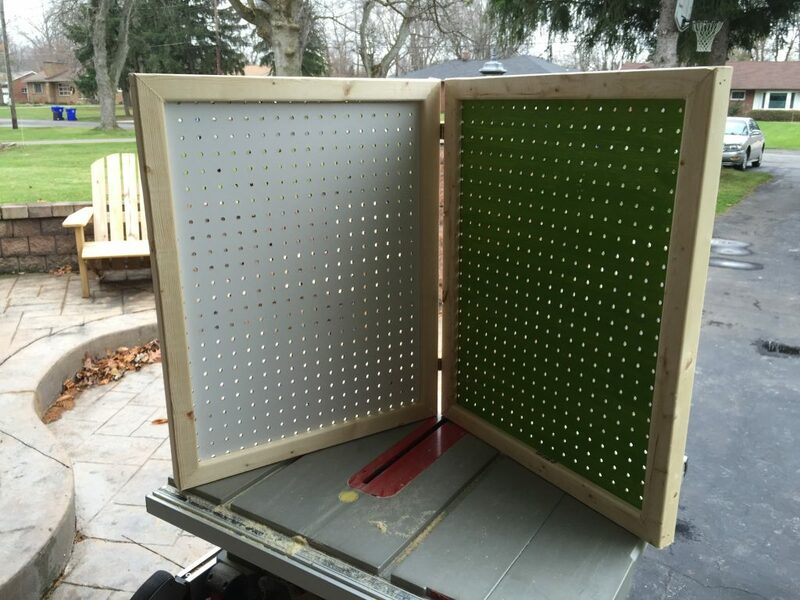 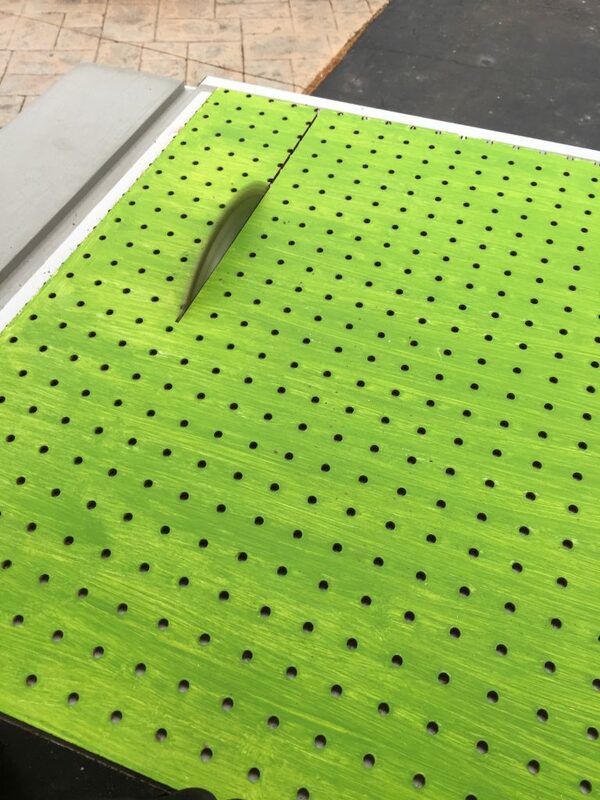 It was made from painted pegboard and some 2×2’s from home depot. 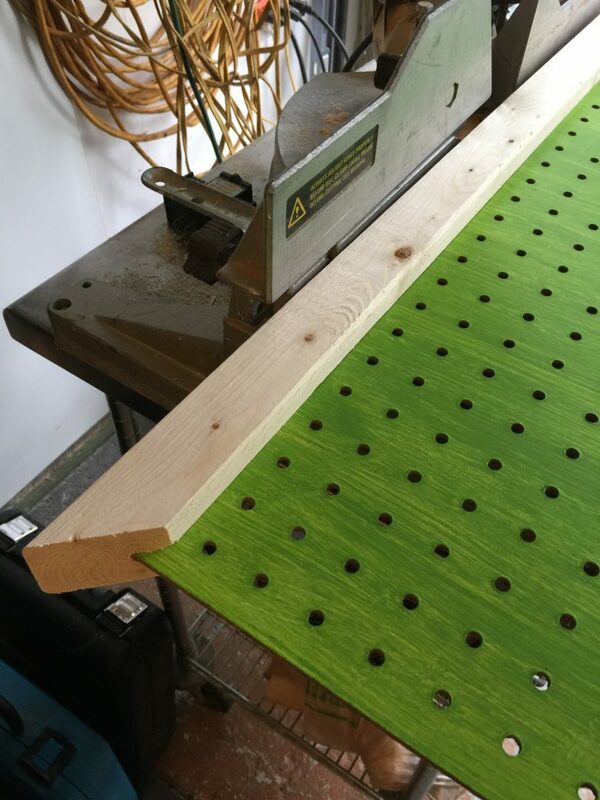 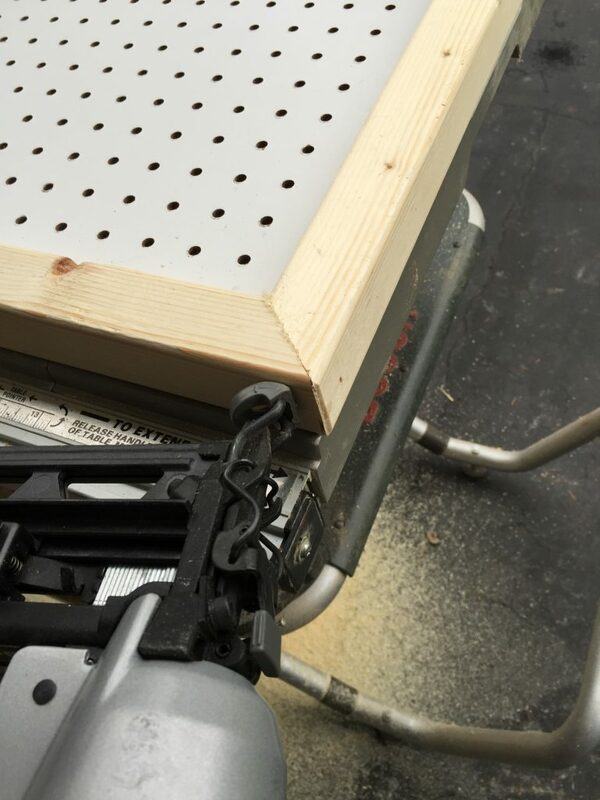 I used a simple standard table saw blade to cut a groove in the 2 x 2’s so that the pegboard would fit snuggly. 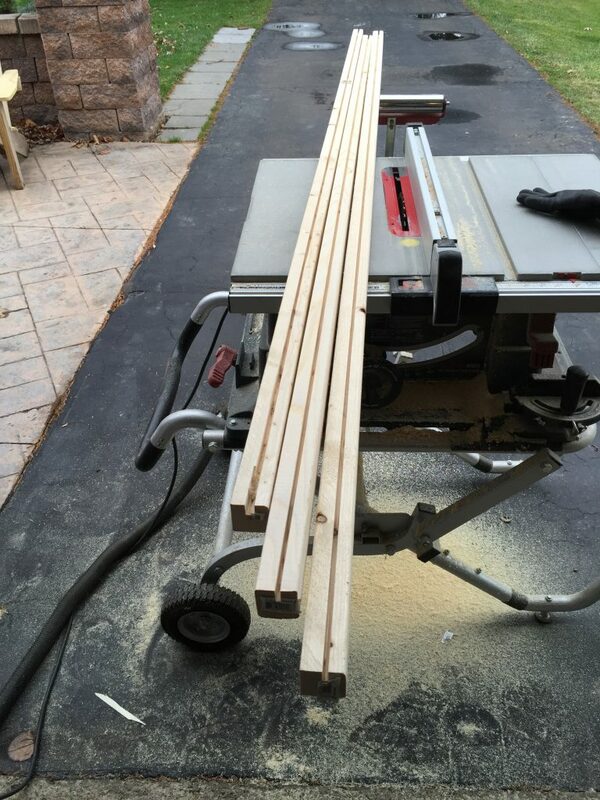 Then cut the 2 x 2’s to 45 degree corners and glued and nailed each one.